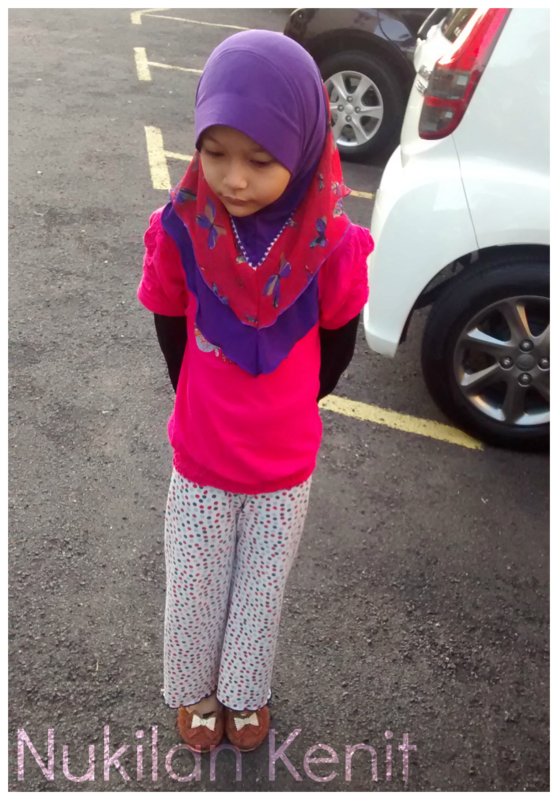 Yesterday, we picked up kakak from school as usual, and we were ready to head on home. 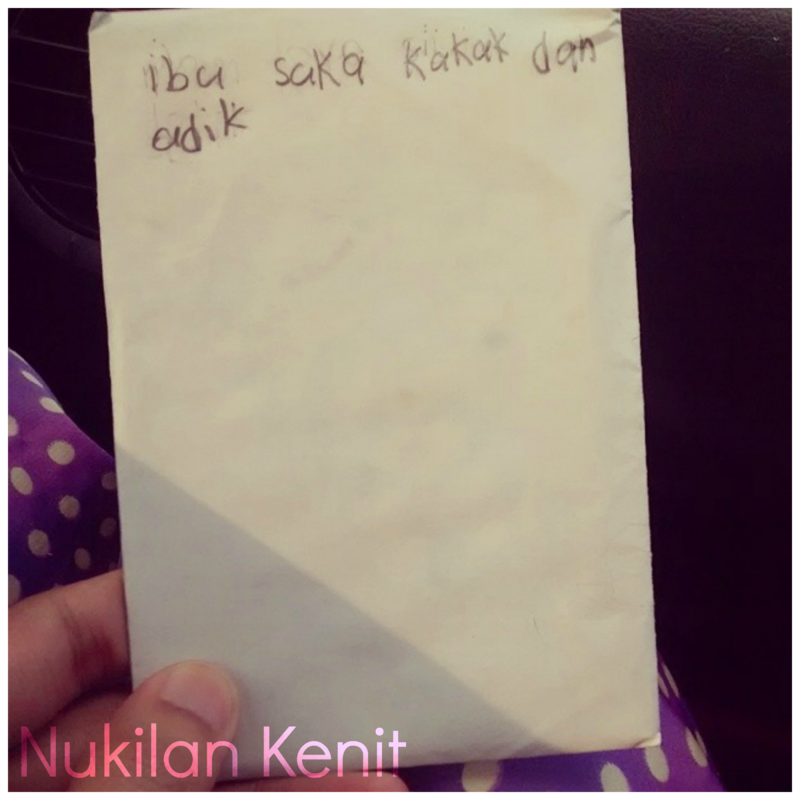 While I was talking to my husband, and my daughters busy making noise behind, suddenly kakak took out something from her pocket and handed me this. She is soooo full of surprise! And I'm her biggest fan LOL. I knew it was a card, but I didn't know what was it for. And, seriously this is not the 1st time kakak gave me her cards hehe. Whenever she got scolded for something she done wrong, I would sulk and she would write me a simple sorry-note on a piece of paper just to please me again. I am incredibly touched by her humbleness, perhaps this is what I should learn from a seven year old girl who is not taken away by animosity. Not to mention her father was jealous and even asked, "Aikk! where's mine?? only for mom??" Well dear, this is the power of mother's love LOL. 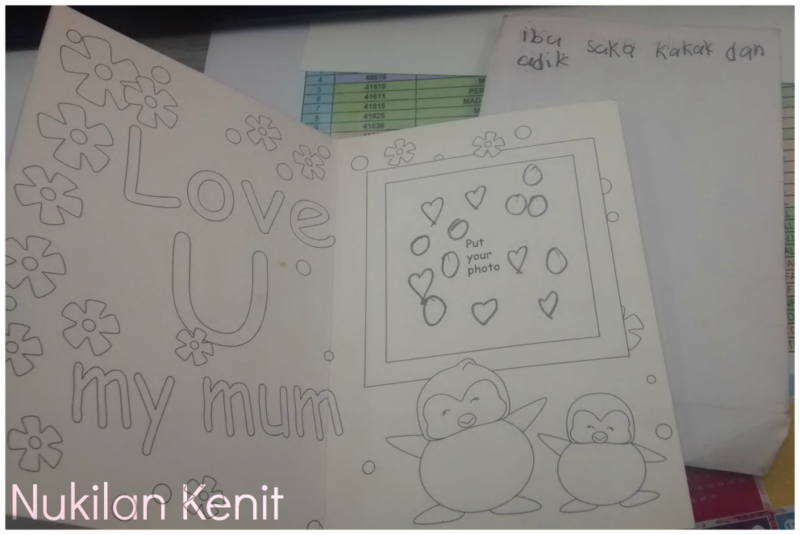 She gave me this beautiful card which she bought it from the school bookshop hehe. I couldn't say a word, hold back my tears and I smiled back to her and said, "Thank you kakak" (^_^). Sometimes, I just wondered if I was a little bit hard on her. Never I did it for fun other than to guide her to the right path and be a better person. Hope she will be able to understand that one day. Thank you for loving me unconditionally, and remembering when I said, "no matter how angry I am to you, no matter how hard I am to you, I will still love you kakak and you will remain my precious pearl till the end". owwwhhhhh so sweeettt,, seronoknya jadi ibu, bila anak dah faham rasa kasih sayang pada kita..
akak.. saya tag akak utk liebster award.